Good credit is central to buying a home in California. If your credit score isn’t very high, the home buying process can stall even before it truly begins. One of the first considerations of home ownership is figuring out your finances, and that includes understanding your credit—a critical piece of the buying process. Whether you’re preserving a high score or your credit requires an overhaul, now is the time to address your creditworthiness to get the best mortgage at the best rate. Your credit score is usually referred to as a FICO score. This three-digit number, ranging from 300 – 850, is used to determine if you are a good credit risk. Your score is determined after taking each of the following five sections of your credit report and weighing them according to a set standard. Less than perfect credit does not mean you will never own a home, but you’ll pay higher interest rates, which means you’ll pay more over time—that’s what makes repairing your credit worth it. You want to be able to qualify for the lowest possible interest rate, which will save you on your monthly payments as well as the total cost of ownership. When your score falls below approximately 650, problems arise. If your score runs beneath that number, efforts should be taken to clean up your report and raise your score. This includes eliminating inaccuracies on your reports, paying off whatever outstanding debts you can, and assuring your monthly payments are made on time. A year’s worth of on-time payments will raise your score and show a mortgage lender that you are responsible. Get a free copy of your credit score report every 12 months—from each credit reporting company. Ensure that all the information on each of your credit reports is correct and up to date. Every year, a whopping twenty-five percent of people looking for a mortgage in California had errors in their credit report. When you spot inaccuracies, it’s up to you to fix them. Your credit report will have instructions—and you can find step-by-step guides on how to file a claim on any of the credit bureau websites. Follow the steps precisely. Keep records of your dispute, including copies of any documents you file with the bureaus. Within thirty to sixty days of your initial claim, you should get a response. If you want to increase your credit scores over time in a clear, steady, upward climb, never miss a payment. Some say the best way to keep you score afloat is to avoid carrying a balance that’s more 50% of your limit on each card, so pay those debts down below that halfway mark as soon as possible. Always make more than the minimum payment on your revolving credit each month; a history of only minimum payments is not a positive indicator. When you pay more, not only do you reduce your balances faster, but you save money on the total amount of interest paid. Credit card companies have caught on to consumers who try to reduce balances by shifting debt between low or zero interest cards, and while they’ll still let you do it, they’ll charge you hefty fees. Don’t just move debt to a different credit account—pay off the balance on your existing cards. Incurring the extra cost is just not worth the alleged benefits. Any consequential buys can alter your financial picture. Banks balk at sudden credit score changes just before approving a loan. Avoid changes your finances right before a home purchase. That means no big purchases on credit, like buying a car or charging an expensive vacation. It’s simply not possible to have your credit clean and clear in a matter of days. It takes time—sometimes months or even years. Pay down your debt, then don’t use your credit cards until your credit score has been checked and you have been approved for your California mortgage. Even with a clean report, you should confirm that your credit cards are paid up prior to qualifying for a loan. That, of course, requires planning and budgeting. 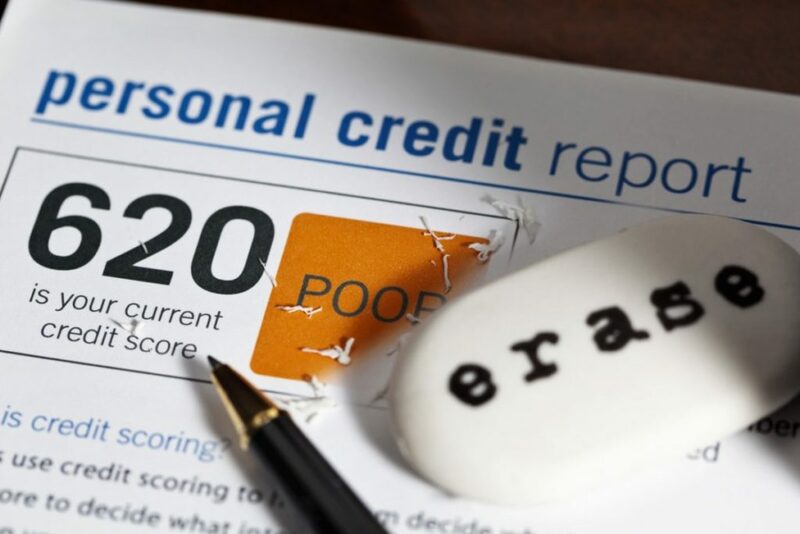 It’s a good idea to put in the time and effort to clean up your credit reports, whether you’re ready to enter the home buying market in California tomorrow or in a few years. Owning a home is a dream worth achieving! Just remember to be diligent with credit—and, be patient with the process. At Golden State Mortgage, we are a California based mortgage company, and specialize in FHA home loans for first time home buyers. FHA loans are a great option for first time home buyers and if this is your first home purchase then a California FHA home loans are probably your best option due to the low down payment and easier credit standards. Your down payment can be as low as 3.5% of the purchase price, and closing costs and fees can be covered by the seller. Call Lone Star Financing today at 1-800-585-6886 or fill out the quick contact form to speak with a California FHA loan consultant and get a free good faith estimate.